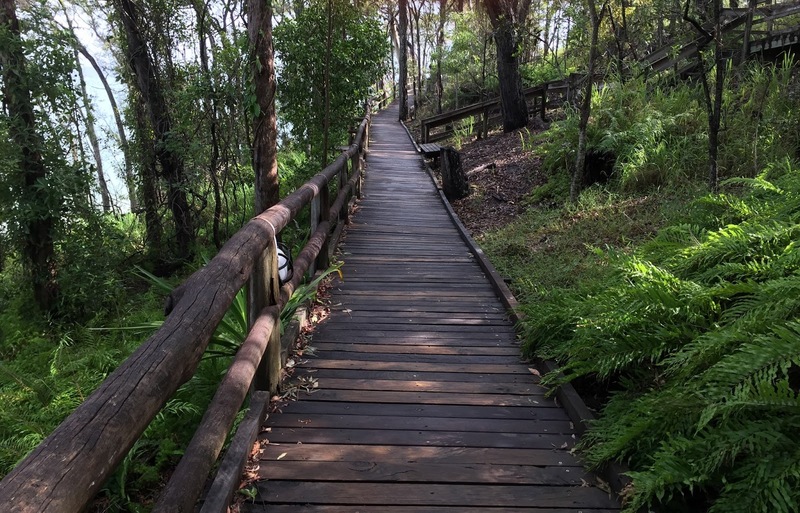 Australia - a land of beautiful beaches, pristine oceans bursting with amazing seafood; rolling green hills, extreme outback, stunning rainforest and unique wildlife. A land of people who love really good food and wine (and other beverages), love their leisure time, and love showing off their amazing country to anyone in earshot, whether shooting down a schooner of beer at a "local" (beer garden or pub), huddled over an espresso in a laneway cafe, enjoying oysters and sparkling wine on a wharf somewhere or battling extreme white water rapids. There are a mere six states and three territories, yet each brings a huge diversity of experiences, and unique landforms. And each offers also a melding of exciting cities, quaint country towns and sleepy beachside communities. Their wine regions are as varied as France, boutique beer is plentiful, and award winning whisky is coming to the fore – and they all boast a taste of their individual terroir. 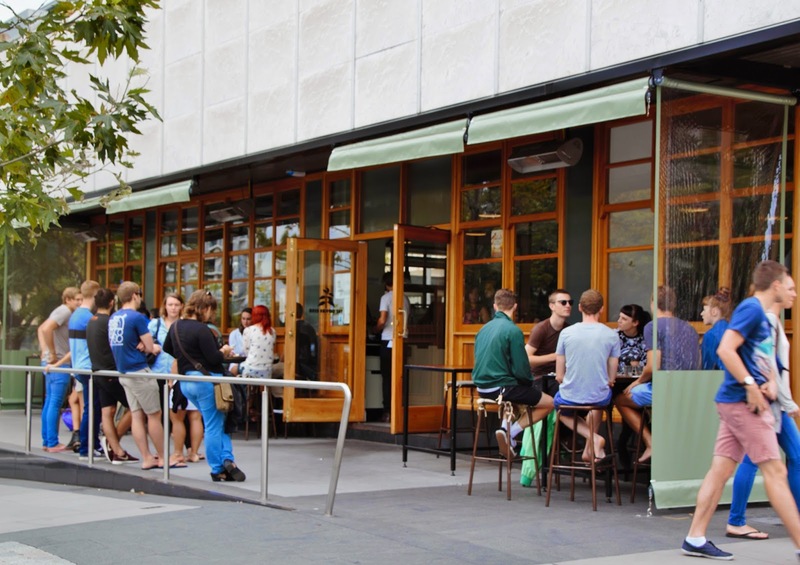 Friendly local pubs are a necessity to the culture, and speakeasy style bars and eclectic wine bars open by the minute, all entwined with a relaxed laid back life style that co-exists with a fervent city buzz. The inhabitants have a thirst for laughter (along with their beverages), enjoyment of life, and welcoming visitors. 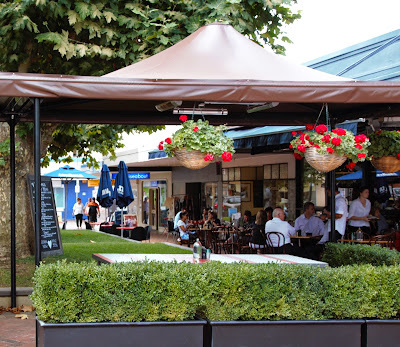 Australia’s restaurants flow out into the streets and laneways, beaches and wineries, forests and farms, the dividing line between inside and out undefined, so they bring with them a sense of place, reflected also in the food and ambience. 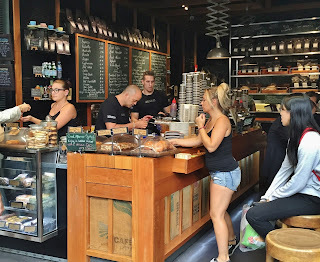 But one of the biggest hidden gems of Australia is the essential abundance of cafes, coffee shops and street carts, all delivering some of the world’s finest brews and espresso. No matter where you roam, the intoxicating aromas drift in the air, and the hum of foaming milk beckons you to hunt it down. And whether a busy street front cafe, a cozy nook on a suburban sidestreet, or a Parissiene style "people-watcher, the energy is magnetic and it's the perfect place to blend with the locals. Couples and friends huddle together over lattes and flat whites, deep in conversation. Singles pore over papers, perched on benches and stools, and the business crowd stand and savor the moment before moving on to work. 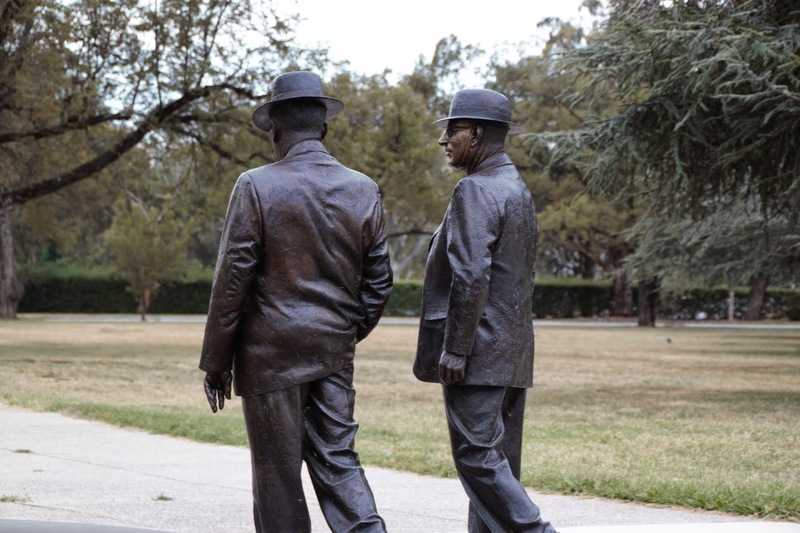 They have become a day-into-night gathering place, the lines blurred between breakfast, “morning tea”, lunch, afternoon break, and into the wee hours. 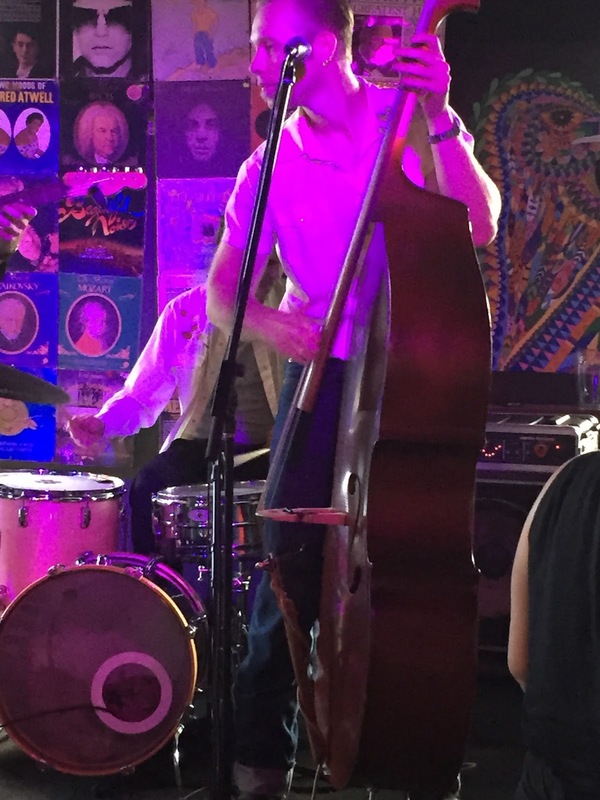 Many have also added wine and even music to their portfolio to appeal to a broader crowd. And what better way to enjoy an afternoon macchiato than with a side of wine! Breakfasts are the new Australian signature, with icons such as smashed avocado on grainy bread or rashers of crispy bacon, and a wobbly poached egg waiting to pour out its molten yolk, or for the healthy minded, Bircher muesli with seasonal fruit and homemade yogurt. 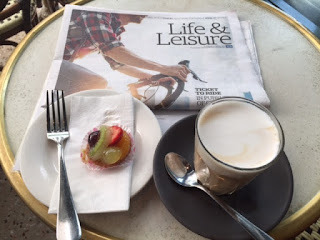 The café journey begins with a sampler of musts from my recent travels. 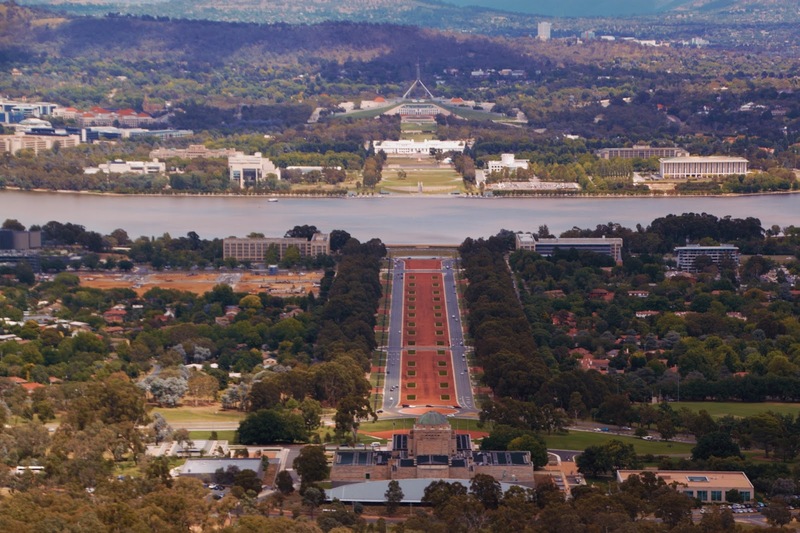 We begin our journey in Canberra, Australia’s relatively undiscovered capital. A capital that was created because (some say, some deny) Sydney and Melbourne rivalry couldn’t be solved. 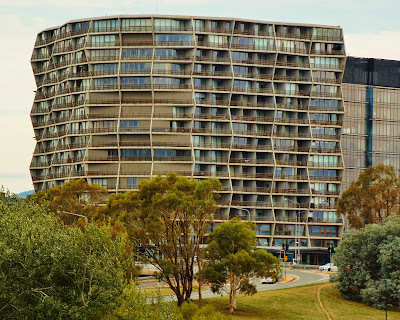 At one time, not actually that long ago, Canberra was a conglomeration of boring concrete structures housing flocks of public servants, interspersed with a smattering of gorgeous historic museums and internationally designed embassies. Food then was a blend of some extreme fine dining and so-so cafes. and the old and new Parliament Houses in the distance. 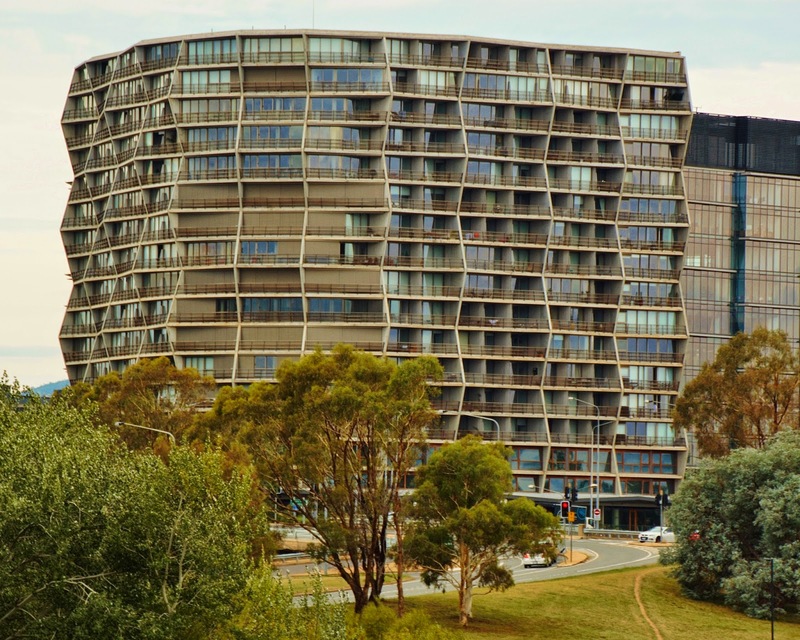 Nowadays, however Canberra has emerged as an architectural fascination, with jaw dropping radical modernist structures, vying for space between the historical and cultural buildings. Streets once home to car yards and delis now have been converted into hubs of serious small cafes, happening bars and brimming restaurants. 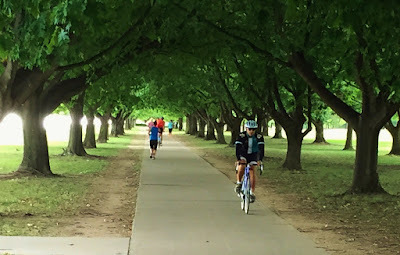 Suburbs of considerable wealth, pay homage to elegant boutiques decorated with drinking and dining holes to “be seen” or “not be seen”, all outlining the picturesque landmark of Lake Burley Griffin. All through the city, you can find extreme and adventurous, yet well-orchestrated restaurants, some snuggling into some equally extreme hotel lobbies and delivering food that has cleverly mastered fusion in its truest form. A spider web of cycle paths enables you to master the city on bike without ever having to second guess the cars. Even the surrounding hills and valleys have become a gastronome and adventurers delight with wineries and truffle farms of outstanding quality, and the "snowy mountains" a stone's throw away for avid skiers. It is a destination I would recommend any visitor add to their list when traveling to Australia – whether a museum buff, cyclist, hiker, golfer, food and wine seeker, artist, photographer or families. Or, like me, simply a lover of great cafes. 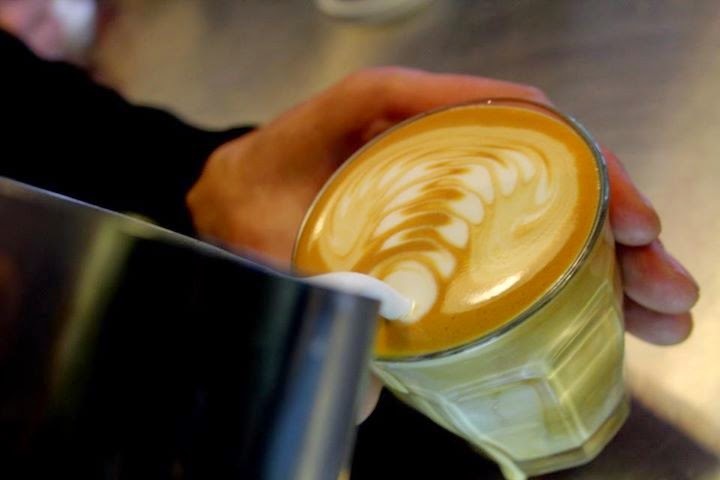 And Canberra now has a coffee-culture to match everything that Australia has to offer. 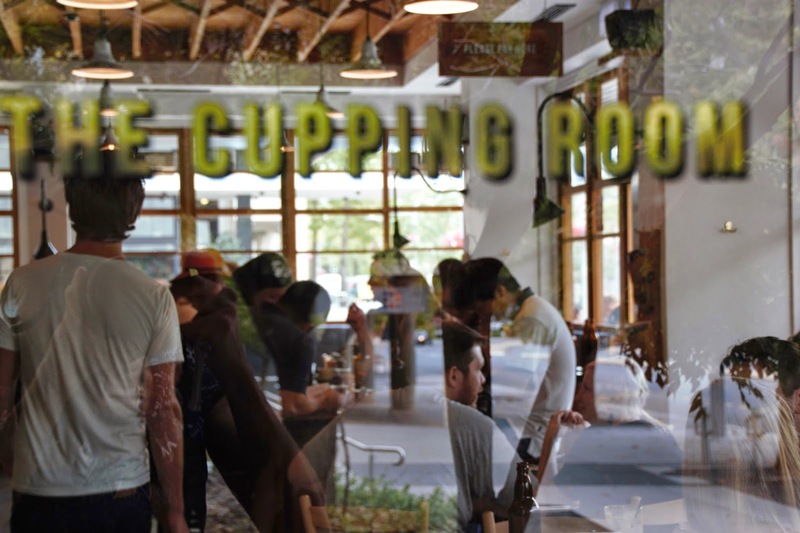 The Cupping Room, perched on an unassuming CBD street corner, won my special attention this year. The energy emerging from this café is everything but unassuming and quiet however. Even on a Sunday morning when the surrounding streets are eerily deserted, crowds flock out the door waiting for seats, or to get their “take-away” coffee to enjoy outside on the sidewalk. 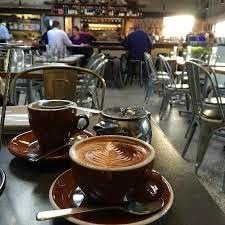 Dedicated to fairly and finely sourced beans, they love nothing more than sharing their passion and knowledge with their patrons, one cup at a time! 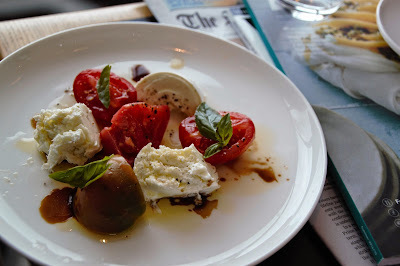 And their high quality mission extends through to the adventurous food, and focused wine list. 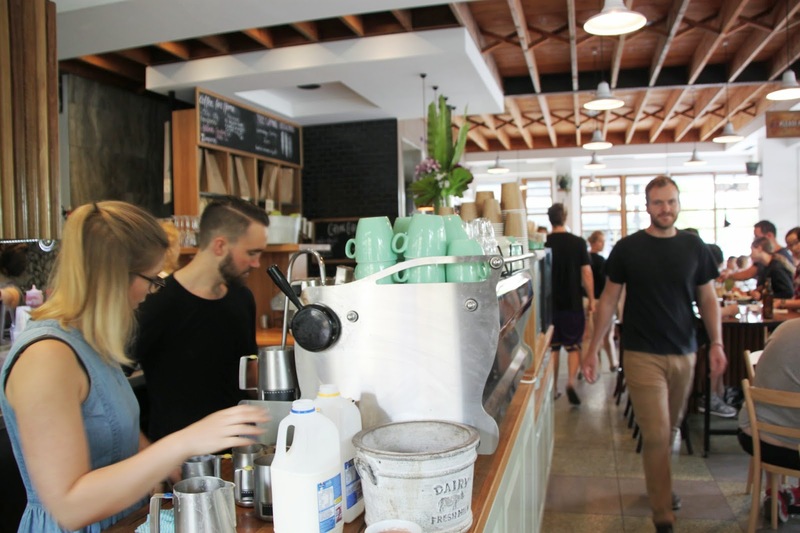 Even other cafes’ baristas silently nudge you miles out of your way just for the experience. At breakfast, try the Bircher muesli with Chia seeds and Gogi berries, soaked in coconut milk and topped with grated apple and passionfruit puree. 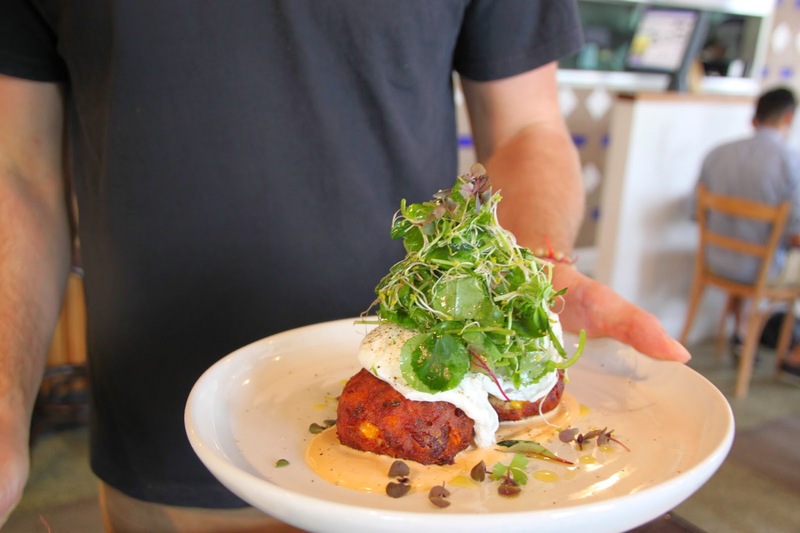 Or for those preparing for an active day, ham hock with corn and potato fritters perhaps? Breakfast and lunch roll together, with choices like Cascara cured salmon and pickled fennel and beetroot (beet) jelly, rye and carroway croutons, smoked heirloom tomatoes and house pulled mozzarella, and lamb rump salad with grapefruit, lychee, bean shoots and mint. 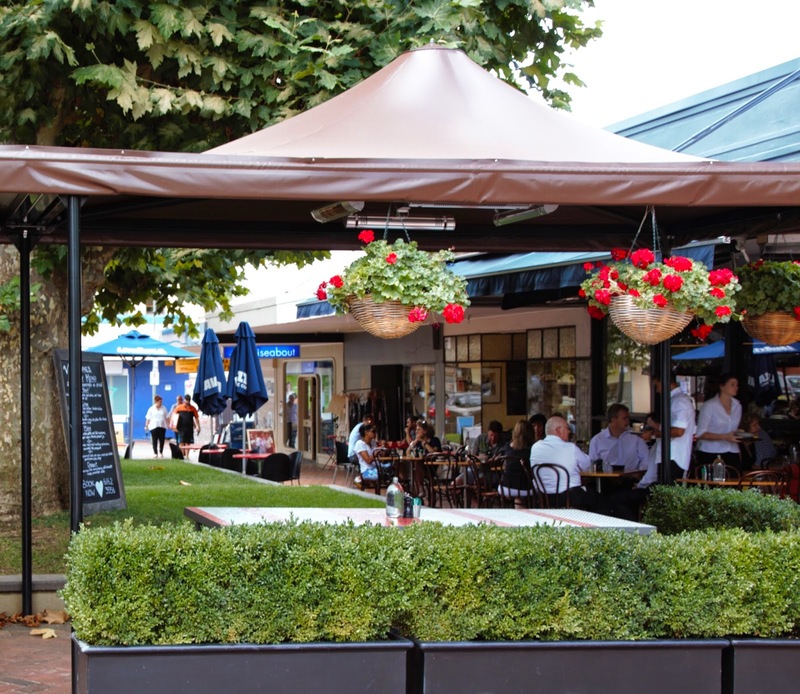 In the leafy, quiet, and exclusive suburb of Manuka, a short drive from the city center, rests a town center of urban charm and elegance, with a café lined courtyard lawn its centerpiece. I can never leave without a meal, glass of wine and coffee at Urban Pantry which sits right on the corner enticing visitors with the parade of divine looking dishes, perfectly finished cappuccinos and intriguing cocktails. 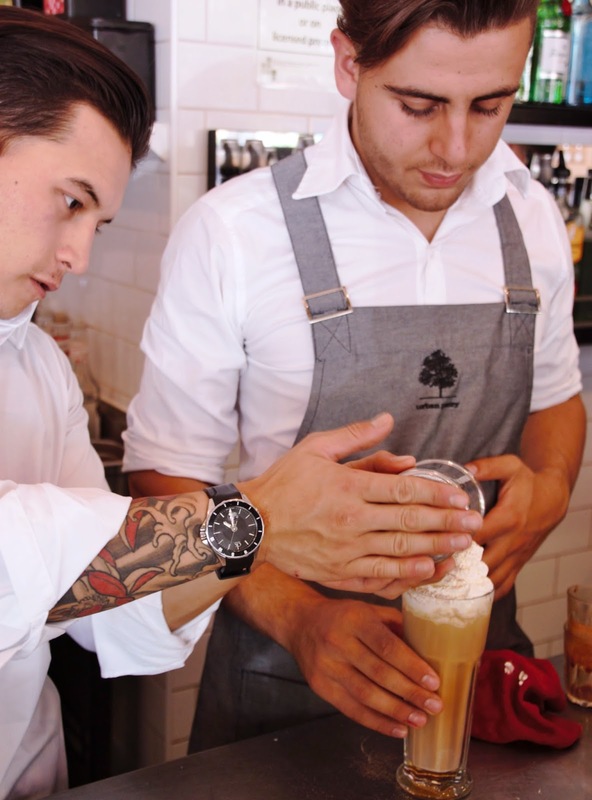 They make a marvelously traditional Australian iced coffee, with espresso, milk, vanilla, a dollop of ice cream and a crowning glory of delicate whipped cream. Sit and enjoy people-watching as well-heeled Euro chic shoppers meander from boutique to café, sipping on sparkling wine or Ristrettos and blending with the suited business crowd . 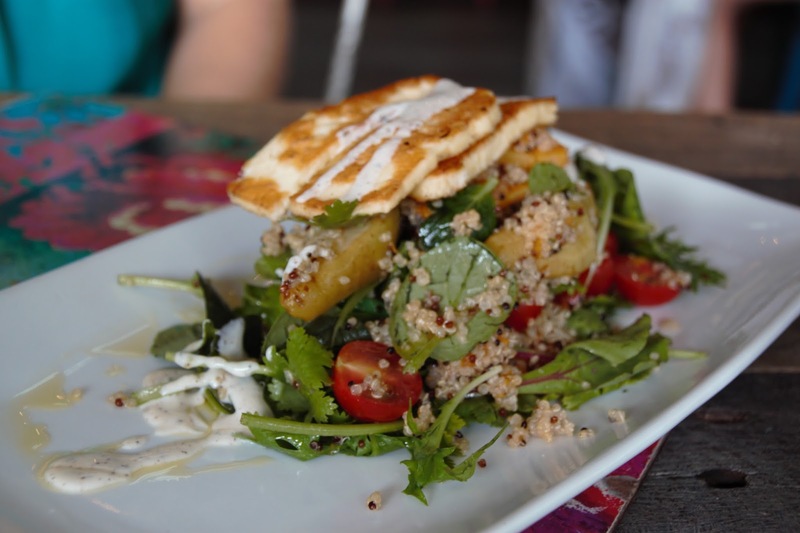 The menu also boasts wines from the surrounds and afar, which pair well with the eclectic salads, pastas, burgers and house made breads. Hotel Hotel – As the name suggests, this hotel breaks tradition, from its external “Dr Suess like” architecture to the oblique internal woodwork, restaurant décor and also menu. Minutes walk to both the city and lake. Rates from $280.00. 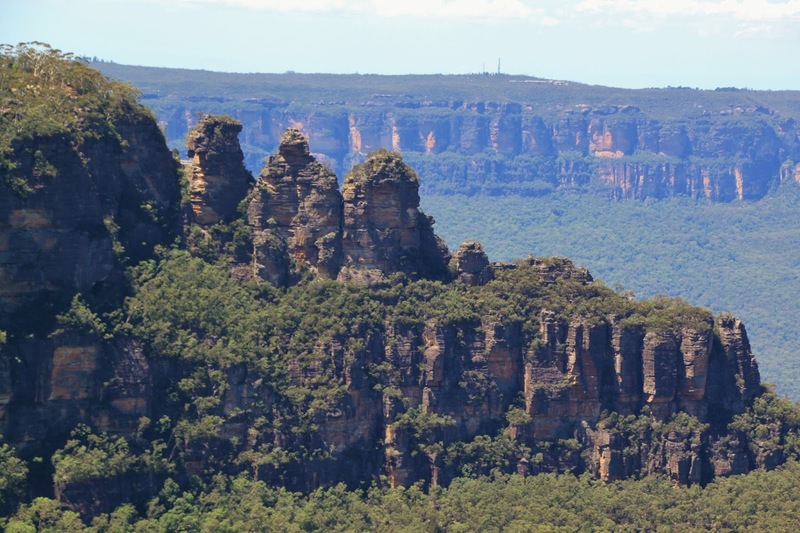 Few cities in the world can boast a world heritage listed region just over an hour from the city centre, but Sydney can, with the glorious Blue Mountains. 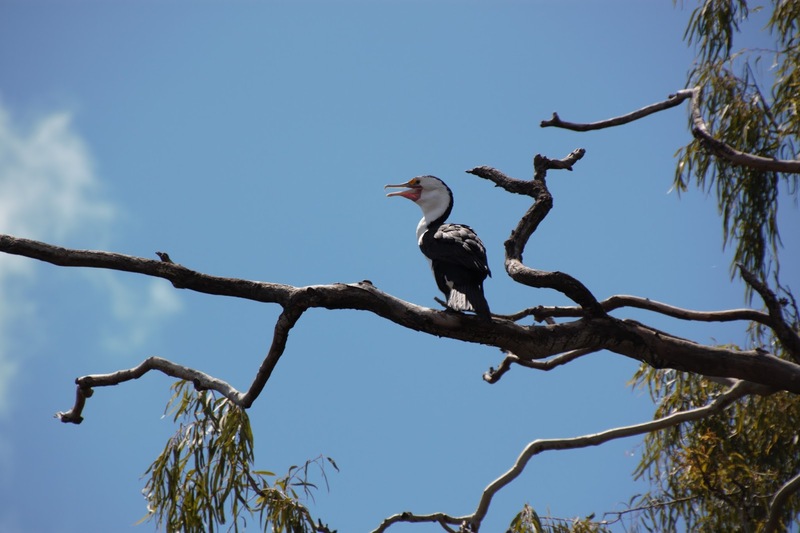 Over one million hectares of eucalypt-covered landscape lined with sheer cliffs that stand sentry over rugged tablelands, deep valleys, stunning waterfalls, rivers and lakes, and a network of hiking trails throughout. Then there are the wallabies, wombats, native birdlife, such as bellbirds and Rosellas and glorious native trees, the air filled with that head clearing scent of Eucalyptus. The mountains actually gain their name from the blue haze that emits from the Eucalyptus oil in the leaves, and which also lulls the koalas into their deep 20 hour a day snooze. The region is dotted with small towns, all with their unique charm and character, and breathtaking vistas. 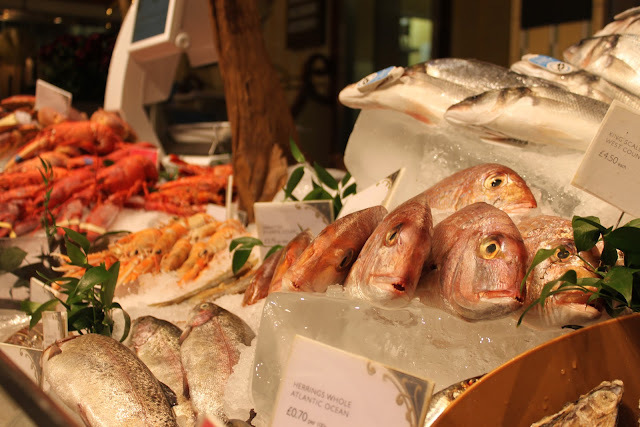 Add to that the amazing gastronomic diversity, and you have a destination well worth the journey. 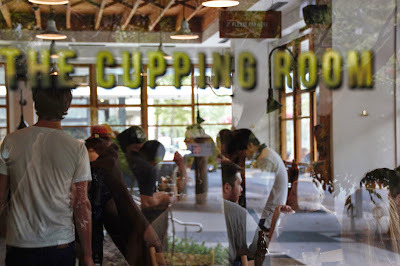 One of the most dedicated cafes to the art of coffee in the mountains, is Cassiopeia, quietly hidden amongst overhanging trees, and a block from the bustling main street. Though off the beaten track, serious coffee mountain buffs know it well, so you'll be in good company. Their biscuits (cookies) and cakes are all locally made, and rustic in nature, such as my favorite, the ginger molasses friand. A converted petrol station, the Leura Garage is decorated and largely outfitted with car parts, creating a modern metallic décor softened by the warm service and some of the best food you will enjoy in the mountains. Pizzas, salads, pasta, antipasto, sandwiches and an eclectic wine list rush from the busy kitchen, and the coffee is so popular they have an outdoor window and seating to deflect some of the crowd from the bar. 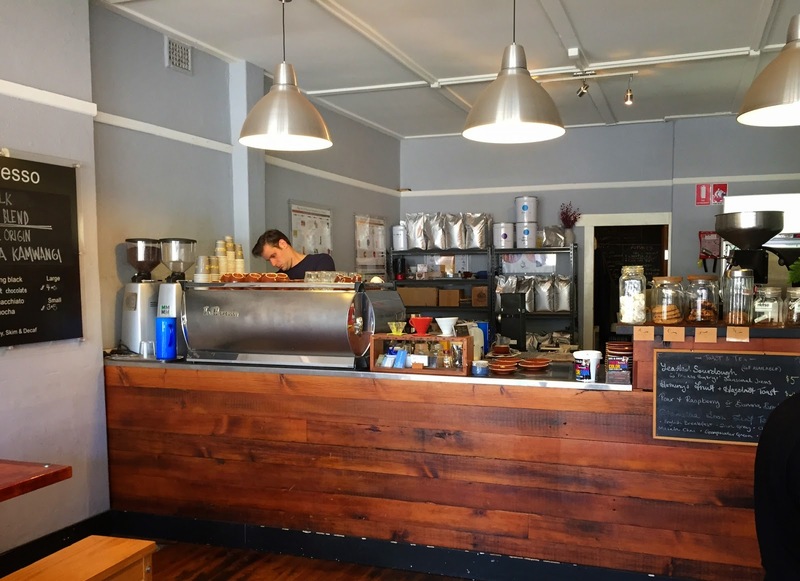 The coffee chosen for Leura Garage is a blend of Ethiopian and Brazilian beans always freshly harvested, bringing a flavour profile that is versatile, dessert-like, with a pungent fruit flavour. 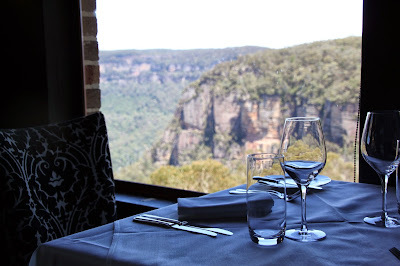 Lilianfels – Pampered, comfortable luxury hovering on the edge of the cliff face, there is no better view than here or the sister property next door, Echoes Boutique Hotel. A spa, infinity and indoor pool, billiards room and magnificent lounge add to the experience. Both have fabulous restaurants. Rates from $200.00. 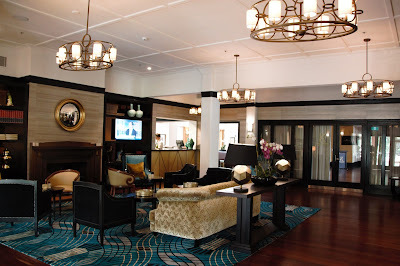 For a taste of historic Katoomba, The Carrington is well worth a stop, even if just for a cocktail at their happy hour with live music on Friday nights. Entering the lobby you feel like you are entering a bygone era, elegant, charming and with the "grandmother" welcoming touch. 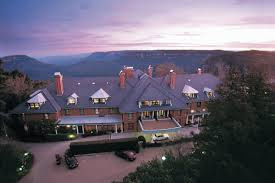 The hotel is passionate about sustainability too, being active in the Blue Mountains gaining status with the International Cittaslow. For boutique local and international wines, and gourmet foods, the Carrington Cellars is a must. Rooms from $100.00. Most tourists flock to Cairns and the islands of the Great Barrier Reef for an Australian ocean experience, but one of my favorite Queensland beachy destinations is Noosa. 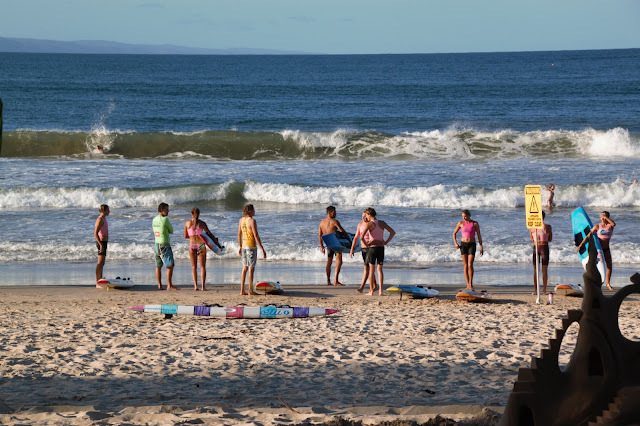 It’s a town perched on a gorgeous beach with rolling waves, a stunning boardwalk curving miles along the coast to a multitude of secluded beaches with great surf choices. Both keen "surfies" and young families will be happy here! 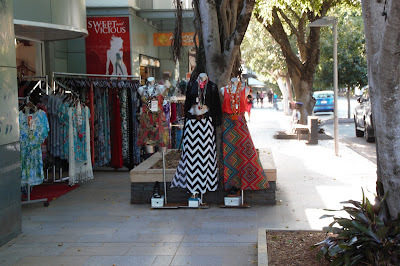 Or just those who want to watch the waves between shopping workouts and great meals. The town itself is a little like a small Aspen on the water, upscale and modern with a huge array of stylish stores, restaurants, gelaterias and boutique hotels. Yet the vibe is relaxed and family friendly. For the curious, small cruises such as the Noosa Ferry Cruise Company take you to the everglades, or exploring the canals on an eco-tour to see local wild life and magnificent waterfront homes. 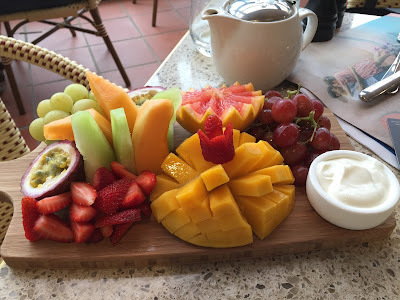 They also dish up a pretty amazing platter with tropical fruit, homemade cakes, and a few jokes mingled with their extensive knowledge. 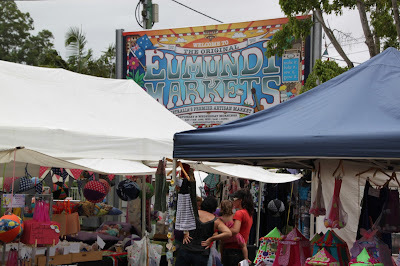 Within an hour you can drive to lush rainforest, quaint rural towns with stunning views, and the famous Eumundi markets, one of the most diverse and interesting I’ve encountered. The Buderim Ginger factory is a breath away, offering educational seminars on bees, a Disney like ride finding the Gingerbread man as he travels around the world, eateries and more ginger products than one could dream up. 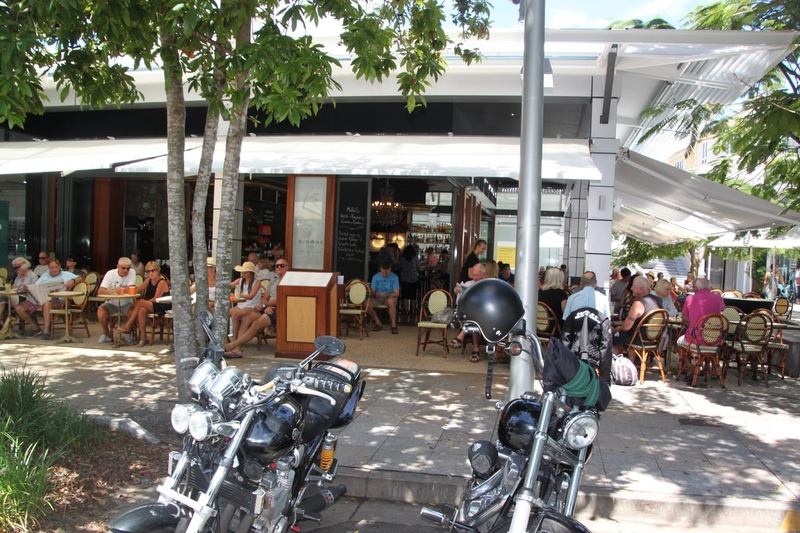 A Noosa institution for visitors and locals alike, Aromas is Paris meets the beach. Woven chairs face outwards to the sidewalk arranged distinctly for people to watch the eclectic mix of passers by - board short clad bleached blond surfies, Gucci adorned beauties, motorcycle drifters and laughing children, with ice cream dripping down their salty, sand dotted faces. The coffee is prepared with deliberation, and whisked to your table post haste so the velvety mouse has no time to settle. Paper cups? Well, yes, but how could one take away when life awaits here in the slow lane. This is the place to revive and recuperate or enjoy a relaxing rendezvous. Not just coffee, though. Aromas offers three meals a day, incredible health brimming smoothies, classic breakfasts and their house made pastries and cakes are a specialty. 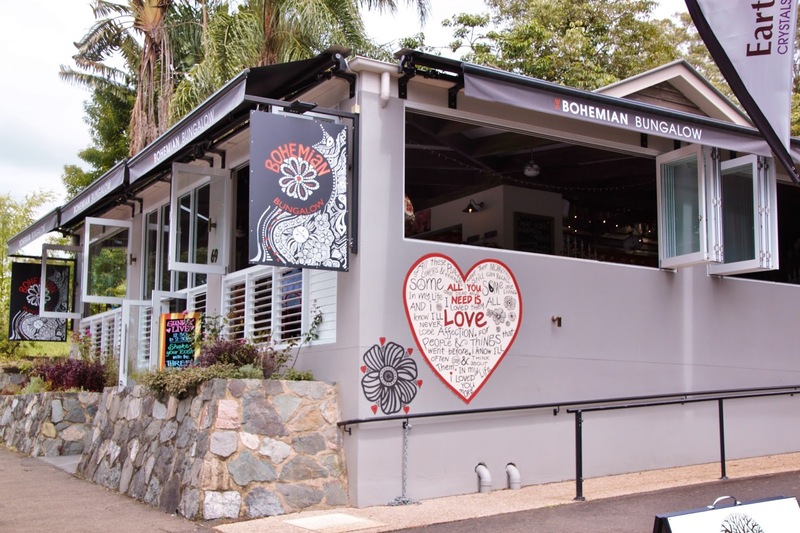 Housed in a quintessential Queensland bungalow, with cool breezes that flow gently through the white louvered windows, The Bohemian Bungalow boasts a menu and coffee list as bohemian as its décor. With names like “Stairway to Heaven” (sweet potato, roast corn, cumin and coriander fritters), “Field of Dreams” (local field mushrooms with wilted spinach with goat cheese, poached egg and truffle oil on sourdough), “A Night in Casablanca”, (homemade flatbread with Lebanese style accompaniments), “Veg out Salad”, with Roast Pumpkin and Grilled Halloumi, time passes dangerously quickly as you savor the cleverly and generously mastered plates. It’s a place to get a taste of what it really means to let time go by. The nouveau surrounds entice you to enjoy your repast as an exercise in musical chairs. Sofas engulf you as you allow the seductive coffee aromas to fill your senses, taking the chill off on a cool winter’s day. Or summertime, sit on the deck or banquettes, letting the gentle breeze play with your hair. It’s the perfect hideaway to watch the shoppers muse through equally avant-garde wares and edibles at the famous Eumundi markets, as you sip on an iced coffee laced with vanilla and topped with lashings of rich whipped cream. 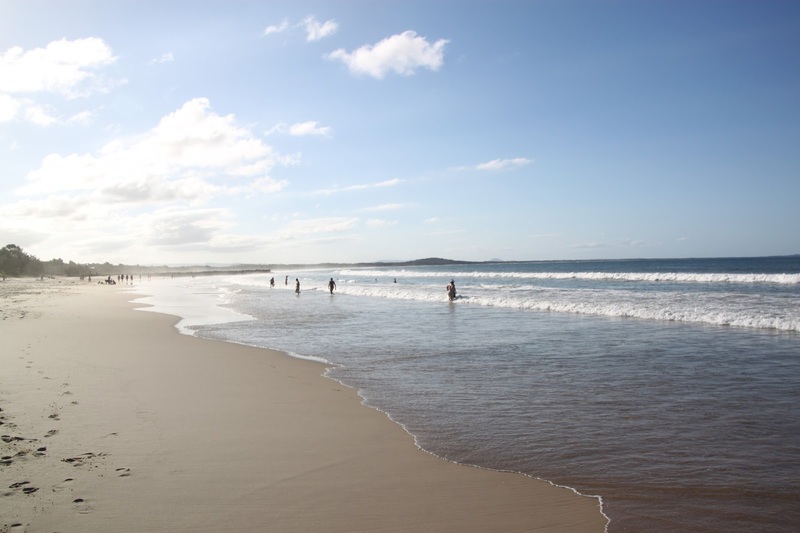 Seahaven Noosa Resort – Walk out your door onto the white sands and dive into the gently clear waves from this hotel with full kitchen. 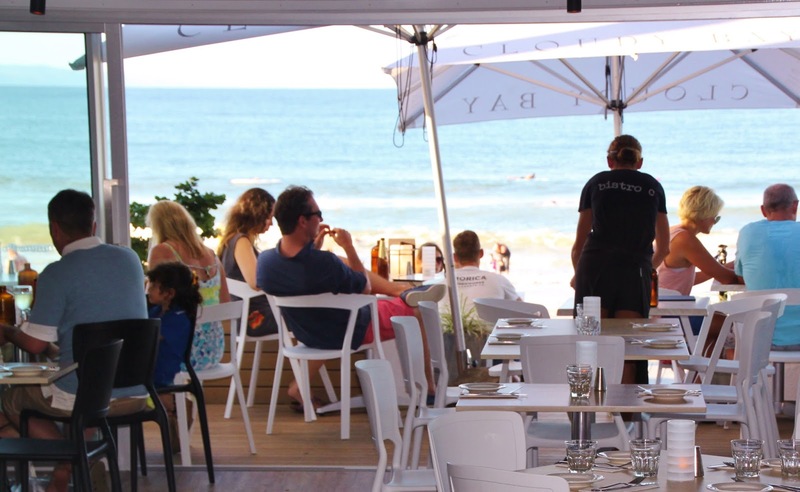 Enjoy a barbecue sitting on the deck or poolside, or wander up the street for a choice of fine dining, relaxed cafes, ice cream, coffee and late night bars. Rates from $200.00. Narrows Escape Rainforest Retreat - Romance is in the air at this retreat snuggled into lush rainforest, just down the road from the charming town of Montville. Log cabins line a gurgling brook, a spa bath edges the lounge room and a hammock swings on the deck, all beckoning you to relax and revive. The breakfast hamper is beyond wonderful. A must is dinner at the Long Apron at Spicers Clovelly Estate up the road (the French Laundry of the region). 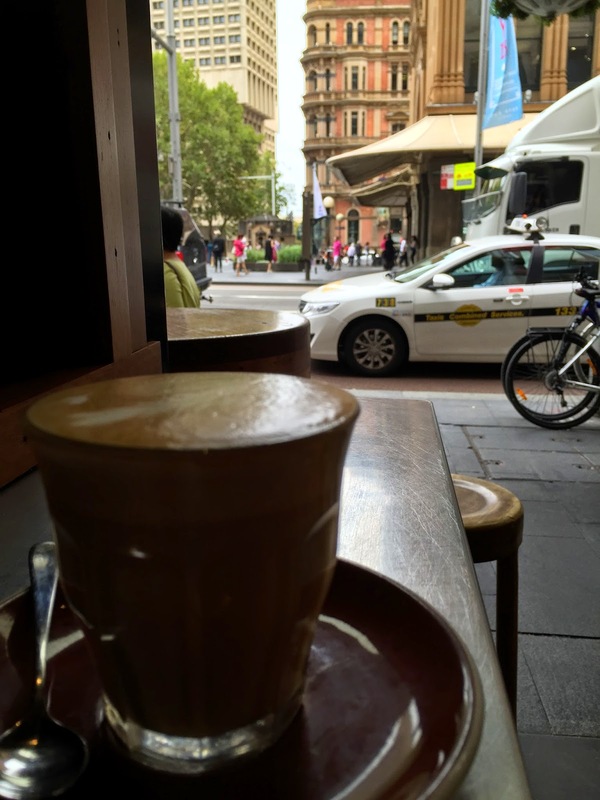 I couldn’t end without a few look-ins worth a visit in the country’s best known city. 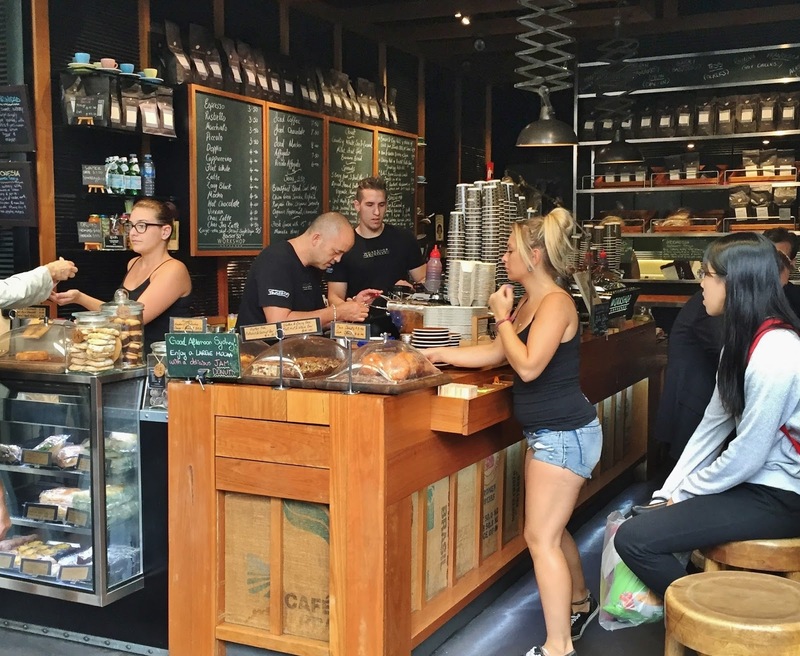 Sydney has no lack of both unpretentious laneway cafes and splashy joint to sip your cup of Joe. 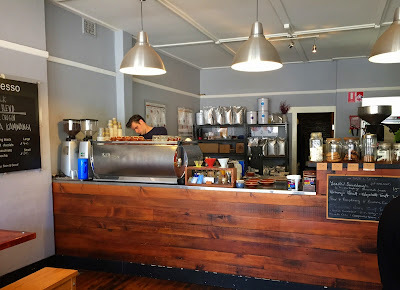 But one that I can’t ever go past, right opposite the historic converted Queen Victoria building, and Town Hall station, on bustling George Street is Workshop café. 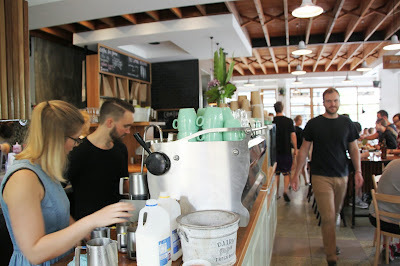 Opening onto the sidewalk, a ballet of friendly staff pirouette around tables and the counter with magnificently crafted brews, European style pastries and bites. Stand or perch at the narrow side bench and watch the hubbub of Sydney life go by at its frenetic yet somehow relaxed pace. The once infamous Kings Cross, home to brothels, pubs and sailors, has gone upmarket main streets and back alleys brimming with bakeries, cafes, ethnic eateries, unique stores and wine bars. 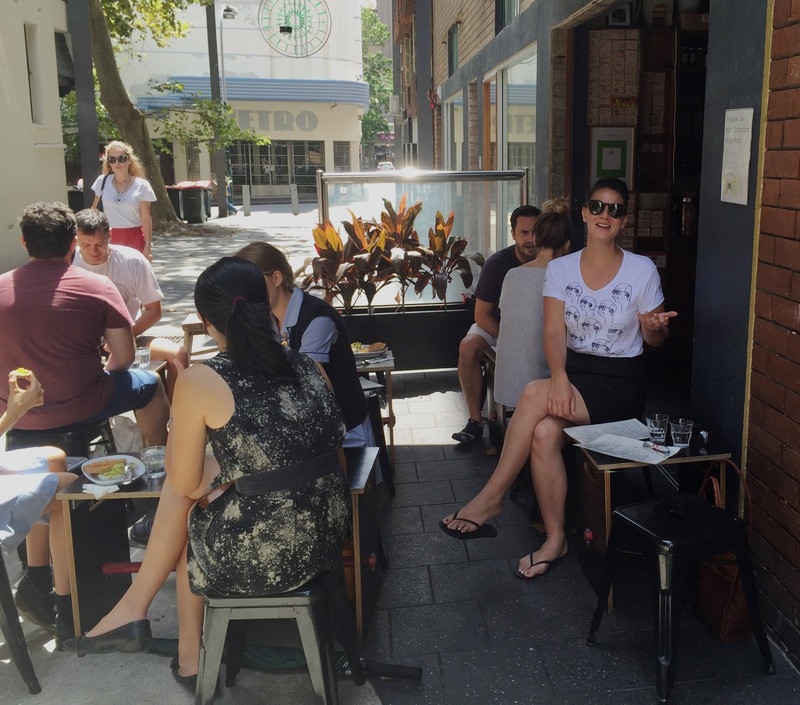 My pick goes to Room 10, a hole in the wall espresso bar, on a quiet laneway so you can take a break from cars buzzing by. Small and unpretentious, yet delivering dangerously good coffee and food, its miniscule kitchen producing an amazing array of toasts, unique breakfasts like a wild rice and grain hot cereal with seeds, nuts, and stewed rhubarb, and the perfect mashed avocado with egg in shell. And finally, just a couple more suggestions if you are fortunate enough to venture to Tasmania. 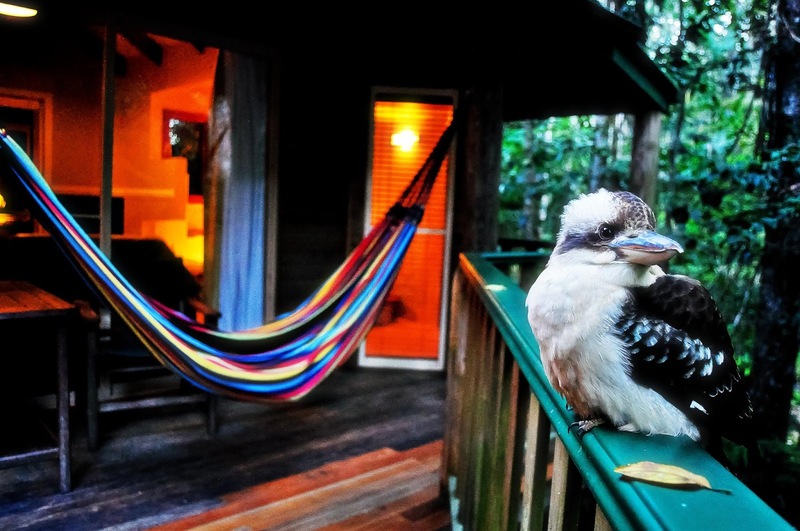 Don’t overlook the island state – it’s one of Australia’s best kept secrets! If you are fortunate enough to travel Qantas (and I highly recommend it), your trip will begin once you board the plane, not disembark. Relaxed Australian hospitality greets you where you can learn a bit of the local ‘lingo’, not to mention enjoying an Australian seasonally changing menu and wine list, featuring some of Australia's finest purveyors, no matter what class you fly. If you happen to be flying Business or First, you’ll have access to the marvelous lounges, with food by celebrated chef, Neil Perry, showers, complimentary Australian wines, cocktails, and one of Australia's premier coffees, Vittoria. · Dungeness crab with spaghetti in a garlic cream sauce and almonds. The wine list compiled by leading Australian sommeliers. 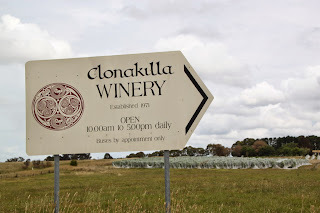 In fact, the Qantas Group received nine medals at this year’s Cellars in the Sky Awards, the most of any airline group, including a Gold award for Best First Class Sparkling and Best Business Class Fortified/Dessert wine.